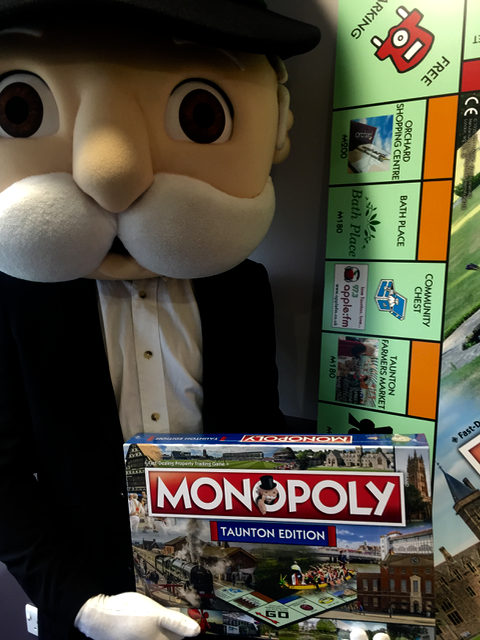 An official Monopoly edition for Taunton has been launched at a red carpet ceremony this morning (Thursday) at the Somerset County Cricket Ground, on the same day the much-anticipated game hits shop shelves. The special edition sees more than 30 leading Taunton landmarks replacing the famous London Monopoly addresses like Mayfair and Park Lane. At this morning’s launch event at the cricket club, who rolled out a red carpet to mark the ceremony, the entire board was revealed. Apple FM are excited to announce we have landed on a Community Chest space in between Bath Place and Taunton Farmers Market. “I’m very delighted that Taunton Deane’s Queens Award winning community radio station, Apple FM, has been given a very prestigious place on the board. It’s one of the most landed on squares, statistically. The fact we are on the board is a testament to the hard work and tens of thousands of hours annually given by the radio station’s volunteers. A Taunton youngster was the first to get his hands on the game after beating more than 200 others to land the prize after the game’s makers put out a VIP search in the summer. Somerset County Cricket Club was revealed as landing on Mayfair and other Taunton favourites starring on the board include The Museum of Somerset, The Brewhouse Theatre, Vivary Park, Goodland Gardens and Taunton Racecourse. “Somerset County Cricket Club are delighted to be included in this special edition of Monopoly and to have been awarded the highly sought after Mayfair spot is fantastic. We would like to take this opportunity to thank all of our Members and supporters who voted for us. “We are absolutely delighted that the Museum has been voted for by people in Somerset to be on a leading location on the new board. The very first space on the board was announced earlier this year with St. Margaret’s Hospice landing on a Community Chest spot. 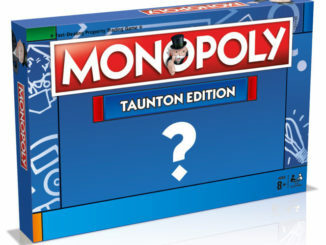 “We are absolutely thrilled to be featuring on Taunton’s very own MONOPOLY board – and to be the very first space to be announced. As a Taunton-based charity that cares for over 3,200 people every year, we are so excited to be celebrated as part of the community and to have topped the poll. We’d like to say a huge thank you to all those who voted for us. 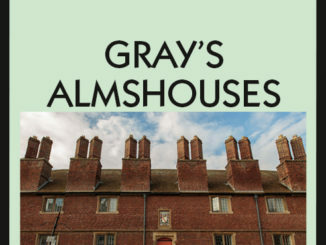 Last month it was announced that Gray’s Almshouses had landed on Old Kent Road and following this earlier this month, the very first set was announced, a set of parks. Goodland Gardens, Hestercombe Gardens and Vivary Park were confirmed as landmarks to feature on the board. 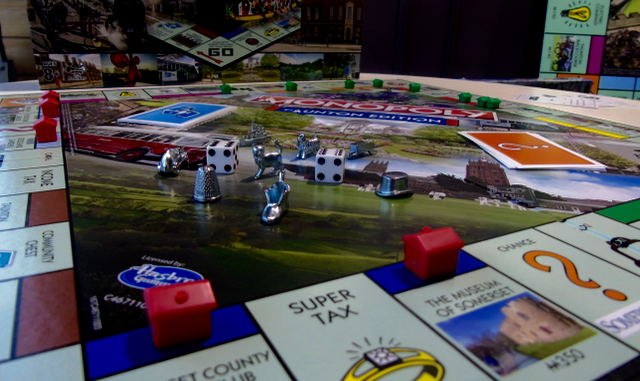 The game is a celebration and a love letter to Taunton” said Jake Houghton, custom games executive at Winning Moves UK, makers of this version of the game under official license from Monopoly owners Hasbro. “Thank you to everyone who has voted for the landmarks that appear and star on it and for making this game happen” he added. The special edition is available now at all good Taunton toy and book stores including Argos, Asda, The Range, Spectrum, Toys R Us, Waitrose, Waterstones, WHSmith and The Works. The game is also widely available online including www.winningmoves.co.uk. 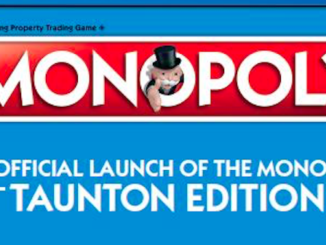 Watch the Taunton Monopoly official launch below.